Swirl Diamond Engagement Ring in 14k Rose Gold | Shane Co.
Crafted in quality 14 karat rose gold, Fifty-four round pavé-set diamonds, with a total approximate weight of .22 carat, gently swirl through this gorgeous engagement ring. 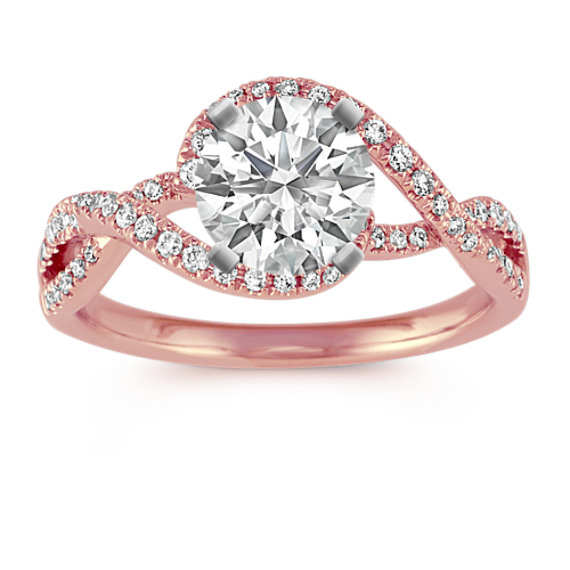 The dazzling gems will highlight the center gemstone of your choice beautifully. The ring is 9mm wide at the center and 3.75mm at the sides. Gemstone Carat Weight :.22 ct. t.w.